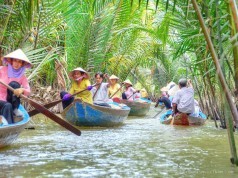 Ho Chi Minh City, commonly known as Saigon is the largest city in Vietnam. One factor that makes Saigon special is the contrast between the old and the new of this bustling city where the past meet the present, the big and the small mixed together, where the rich is far from the poor by only one step. From the finest of hotels to the cheapest of guesthouses, the classiest of restaurants to the tastiest of street stalls, the choicest of boutiques to the scrum of the markets, HCMC is a city of contrasts. Wander through timeless alleys to incense-infused temples before catching up with the present in designer malls beneath sleek skyscrapers. Today, the city’s center is still adorned with wide elegant boulevards and historic French colonial buildings. The majority of these tourist spots are located in District 1 and are a short leisurely distance from each other. The most prominent structures in the city center are the Reunification Palace, City Hall, Municipal Theatre (also known as the Opera House), City Post Office, Ben Thanh Market and Notre-Dame Cathedral . Golf has been developing rapidly in Vietnam over the recent years, especially in HCMC where lots of golfers are working and living. Several exciting, challenging golf courses within easy reach of the city centre combine with amazing historical & cultural sights make Saigon is a indispensable stop for any Vietnam golf holiday and offers the perfect combination of city and leisure facilities. 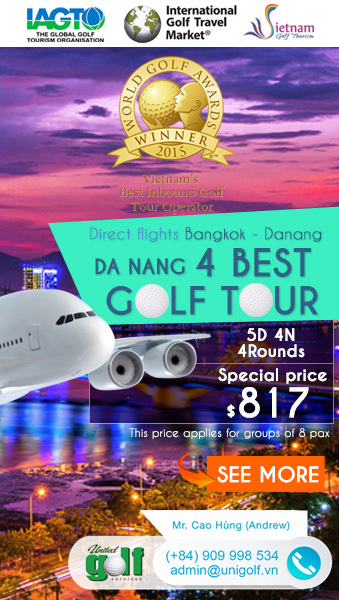 This golf travel package provided by UniGolf will show golfers how a good services with attractive price should be at 3 of the best golf courses in Sai Gon: Twin Doves Golf Club, Long Thanh Golf Club and Vietnam Golf & Country Club. 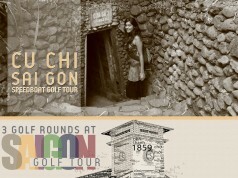 Customize your travel plans today with UniGolf to discover and enjoy more for your golf tour at Ho Chi Minh City. The course which is located in the new urban area of Binh Duong Province, is envisaged to be the first international residence resort in Vietnam. 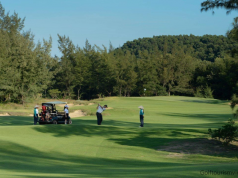 Newly opened in 2011, the 27-hole Championship course is the first private course in the South of Vietnam. 27 holes of the course are divided into three great nines: Luna, Stella, and Sole that can make up different 18-hole combinations. Located on a hill surrounded by Dong Nai river. The course is on the way to Vung Tau City where is just about 40 minutes by car from Ho Chi Minh city. The 36-hole course is designed by Golf Plan – the company with more than four decades of experience in golf course planning and architectural services in more than 75 countries on six continents. The grass of the golf course are Paspalum, the fairways will be very beautiful, create high accuracy. The course features rolling fairways and slightly undulating greens, winding through a palm plantation and artificial lakes and other beautiful features. The course offers both spectacular scenery and real challenging golf to players of all levels. Vietnam Golf & Country Club. The Par 72 Championship Course hosted the Vietnam Open (Asian PGA Tour Event) in both 1995 and 1997. The course winds its way through the trees offering challenging tee shots to the tree lined fairways before playing to the softly contoured Bermuda TifEagle greens, which provide beautiful putting surfaces all year round. Day 1: Pick up at Tan Son Nhat airport, transfer to Twin Doves Golf Club to play 1 round of golf. Transfer to Hoang Hai Long hotel and check in. Day 2: After breakfast, transfer to Long Thanh Golf Club play 1 round 18 holes. Day 3: After breakfast, transfer to Vietnam Golf and Country Club play 1 round 18 holes. Transfer to Tan Son Nhat airport for departure. 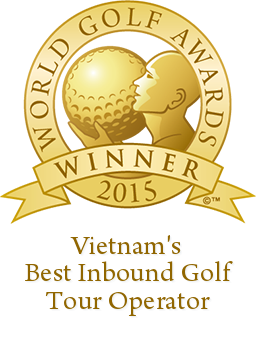 Keyword: Twin Doves Golf Club, Long Thanh Golf Club, Vietnam Golf Country Club.